Each week the Dynamic Duos have a colour theme for us to create our projects. This weeks theme is Black Tie with a Dessert Option – I’ve gone with the colours provided in the pic below, but I’m not sure if crimping qualifies as dry embossing. If it doesn’t qualify, then I’m going dessertless! 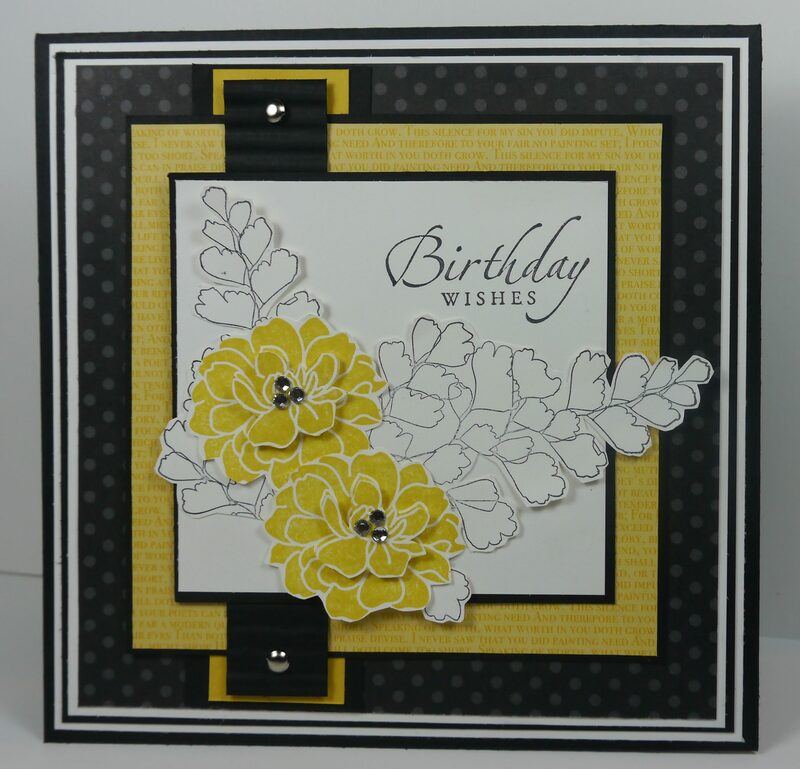 I just love how you have combined the two stamp sets, added brads to the end of a panel and completed the look of the flowers with the tiny rhinestones. The flowers also look gorgeous in Daffodil Delight. Thanks for playing along at Dynamic Duos. Thanks for playing along with us at the Dynamic Duo! Nice balance of the colours Narrelle. Pretty card. Thanks’ for joining us at Dynamic Duos this week. Love the combination of images to create a beautiful floral cluster! 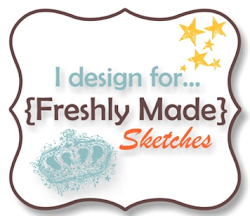 Terrific details on your card! 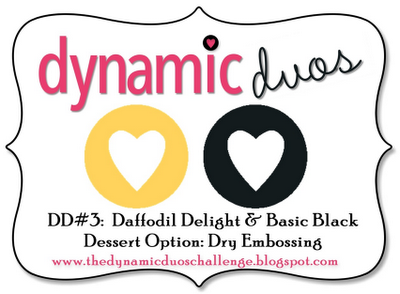 So happy you joined us at Dynamic Duos! Gorgeous creation, you do awesome work with those flowers! Thanks for playing with us at Dynamic Duos! This is so beautiful! You must be really patient to have cut all of that out!